FindClassesNow connects you with instructors of a variety of different activities all over the United States. When you are on the go, FindClassesNow is quick and easy. 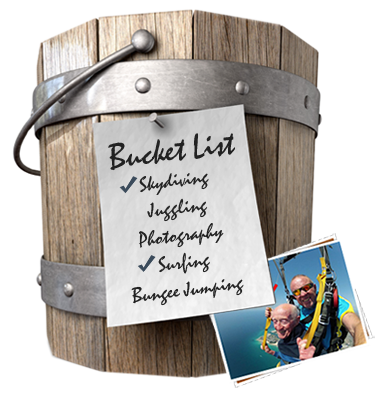 Don't forget, you can quickly knock items off of your bucket list. You're on your way to finding great Classes! You'll be getting paid in no time. FindClassesNow offers almost any activity you could possibly dream up. No matter what you want to learn or what's on your bucket list, you can find someone to help you do it through FindClassesNow. Our site is FREE to use and offers discounts on all listings! No matter what type of activity you are interested in, you can find it here between 5%-60% off of retail prices. Why not make your activities more visible to the entire FCN network of users and start booking more students now. It's FREE. It's EASY. APPLY NOW!! An Instructor is a single person teaching one-on-one classes or small group activities. A venue is a business that offers multiple activities with multiple instructors.